Djrum - Broken Glass Arch. Vinyl EP. Bleep. After a long and fruitful relationship with 2nd Drop Recordings, Djrum has set off for pastures new in recent times. R&S become the latest imprint to front a release from the London producer, and the three tracks of Broken Glass Arch slot perfectly into the storied label’s catalogue. The title track contains all the stürm und drang that we have come to expect from the man who gave us ‘The Miracle’, with a slow-mo build giving way to a lush string break in a manner that obliquely recalls The Streets’ ‘Turn The Page’. 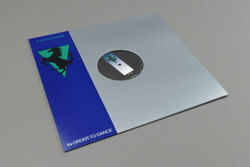 The two ‘Showreel’ dubs are similarly stirring - the shorter ‘Part 1’ an exercise in Eno-indebted ambience, the nine-minute ‘Part 2’ an ambitious roller that brings together two-step, UK funky, techno, Bonobo-style electronica and much more.